New features of OpenLNS CT comparison to the preceding releases like LonMaker TE and LonMaker FX. 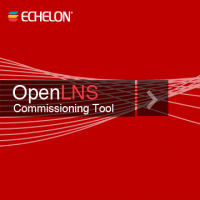 Within this seminar the new features of OpenLNS CT are explained in detail and in comparison to the preceding releases like LonMaker TE and LonMaker FX. The new features are presented in practice and the advantages and disadvantages are discussed. Participants will get practical tips for the reasonable usage of the features. Course Objective Participants learn how to use the new features of OpenLNS CT efficiently and beneficially.